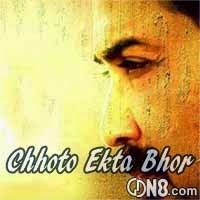 Chhoto Ekta Bhor Song Lyrics From Bengali Movie Lorai(2014). A beautiful Song Sung By Mohan Kannan. Music composed by Indraadip Dasgupta. This Movie Directed by Parambrata Chatterjee. Starring - Prosenjit Chatterjee, Gargi Roy Chowdhury, Indrasish Roy, Payel Sarkar And Others. Dekha hobe thik sei prantore ..